I saw these little guys over the summer via cloverhouse and decided to give it a go. I made on change....google eyes were replaced with painted eyes. OK...here is something else-save that pokey piece....I've got another craft planned for that in a few weeks....no waste on these guys! I bought some cheap 50 cent paint and painted my cat shape (I (had my brother) cut out all different sizes). I sanded the edges to give them a little bit more of a vintage look. Then I used these little round brushes to dab eyes. I let the white dry and then went black with the smaller size for the pupil. I'm keeping these simple....b/c they have some friends joining them soon. Looks GREAT!!! 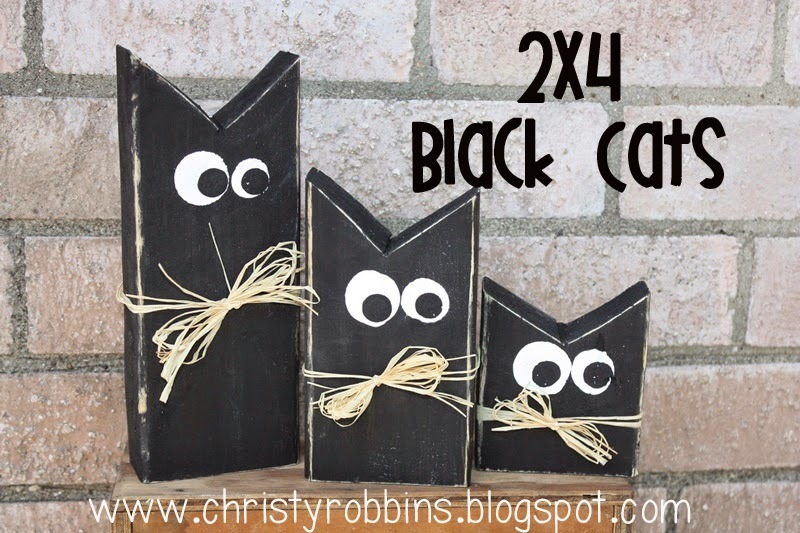 This would be a GREAT craft for my two year old grand quads! !